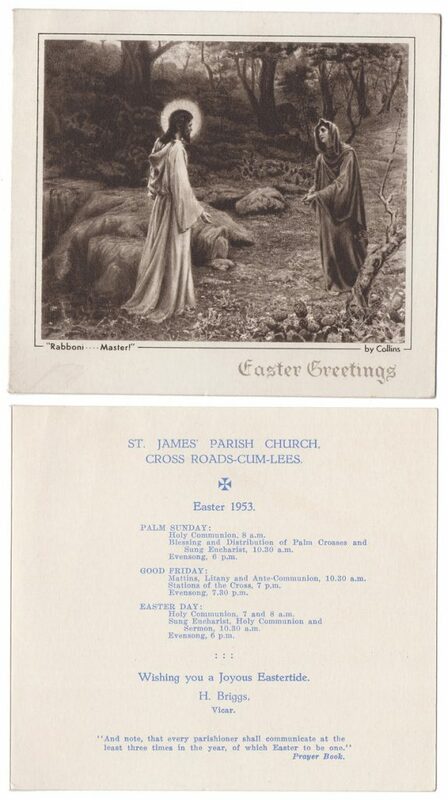 Wishing everyone a glorious Easter weekend. 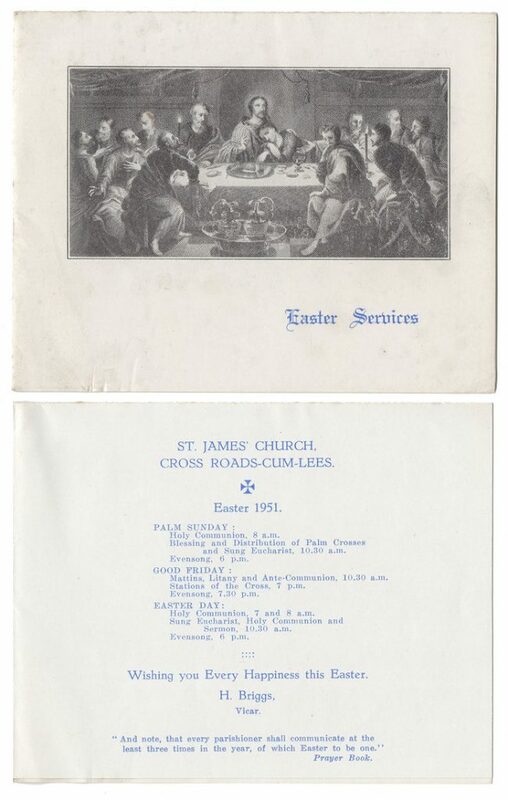 These are two Easter services cards from St James’ church in Cross Roads with Lees from the early 1950s, plus a postcard of the church. All images from our digital archive. 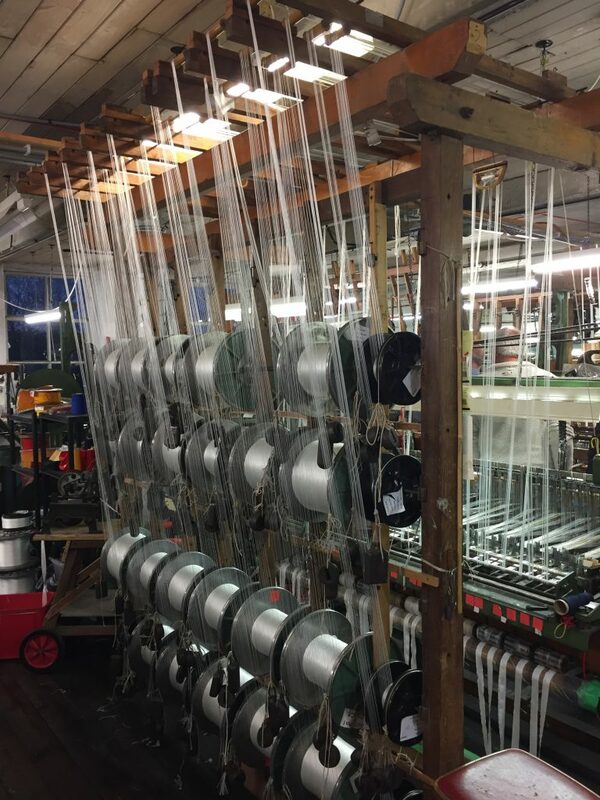 Last week the History Society organised a visit to Wyedean Weaving Co. Ltd. in Haworth. 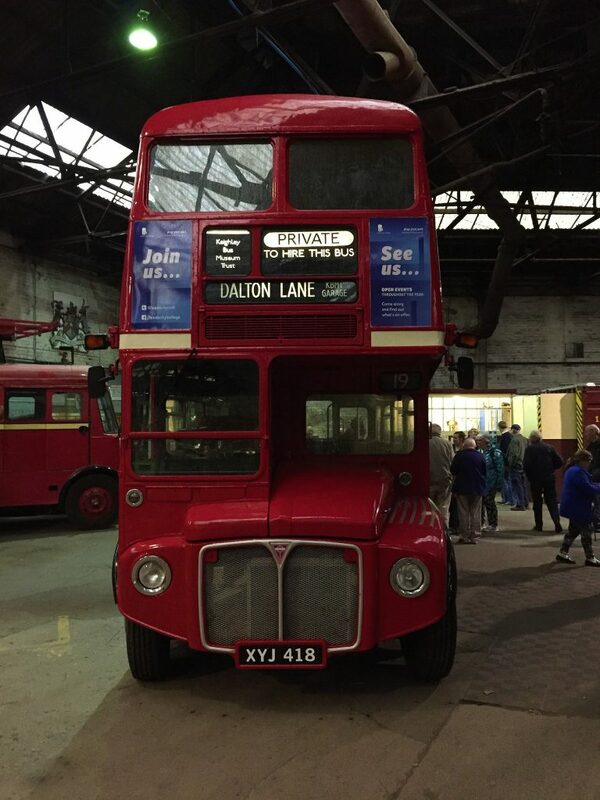 We have just uploaded over 200 photographs and 12 short videos of the visit to our Flickr page. 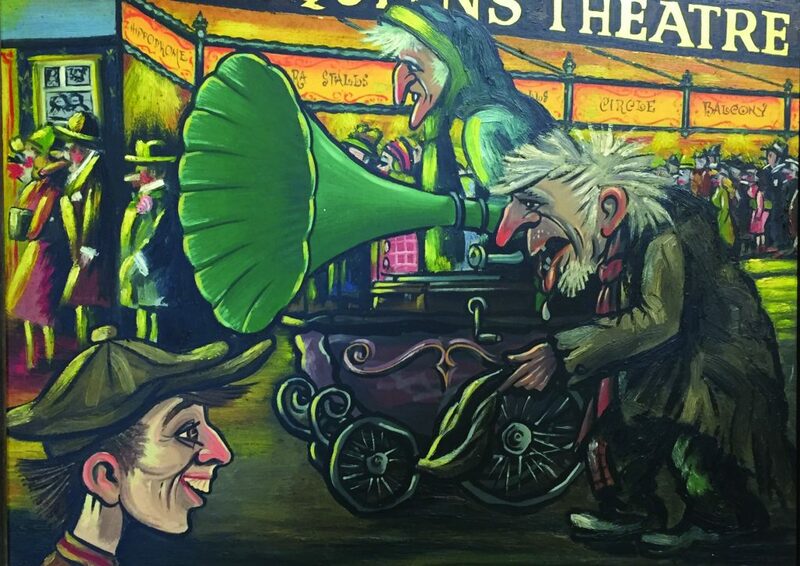 Click below to see more. We had a terrific visit to Wyedean Weaving on Wednesday evening. 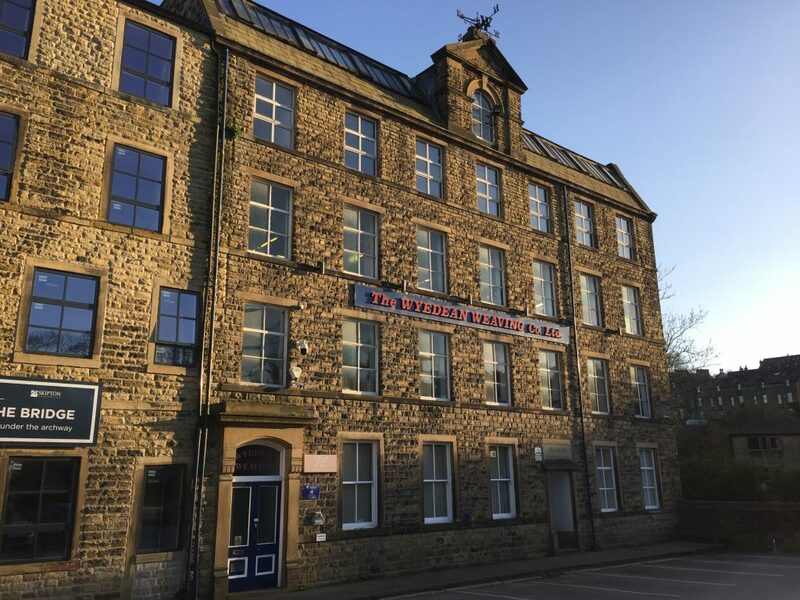 Eighteen History Society members were given a guided tour around the firm that has operated out of Bridgehouse Mill in Haworth since the 1960s. 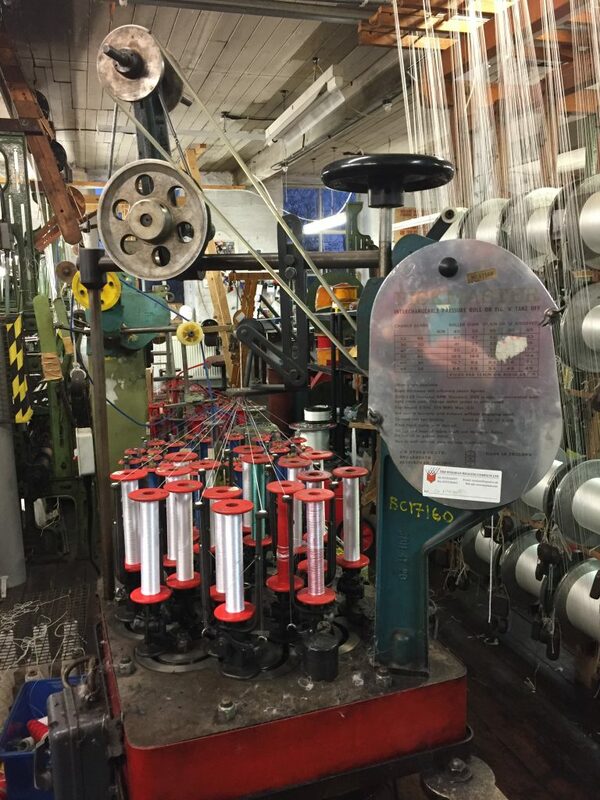 We were given a history of the company and saw demonstrations of several of the machines. Our sincere thanks to Robin Wright and his team for hosting us. More photographs and video from the visit will be posted on the Flickr site soon. 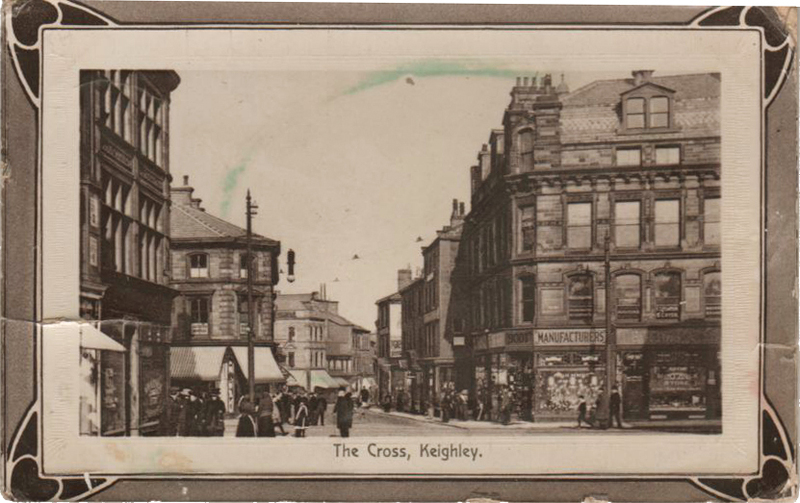 A small selection of postcards of Keighley from over 100 years ago. 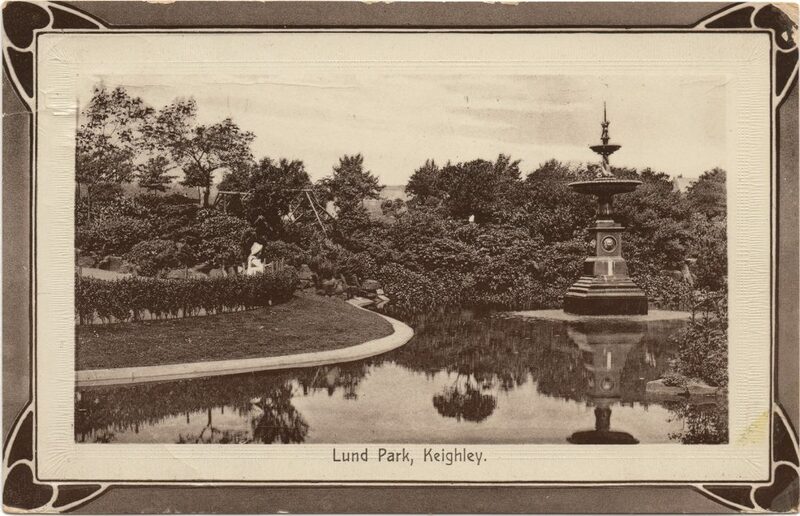 The cards were printed by Schofield & Co. Publishers of Burnley. They show The Cross (when it was safe to walk down the middle of the road! ), the Town Hall Square (pre the War Memorial), Cavendish Street (with tram lines and overhead power cables) and Lund Park (with a lake!). 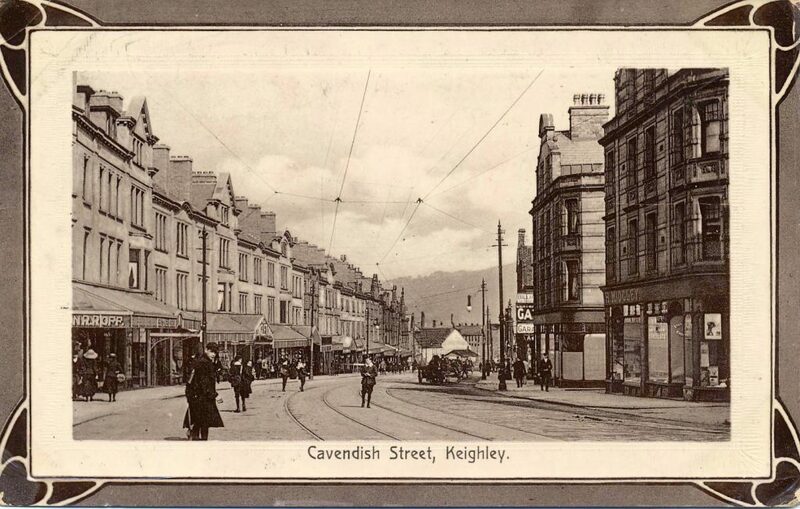 If you have found our website via Memory Lane in the Keighley News please DO NOT turn up at the Library on the 10th April. We will not be there. This month we aare having an outing and because of the site it is restricted numbers and therefore only available for Members. Normal service will be resumed for the 8th May meeting. We will be back at the Library with “On Her Majesty’s Service”. A tale of National Service told, as experienced by the man himself, Colin Holt assisted by his grandson. 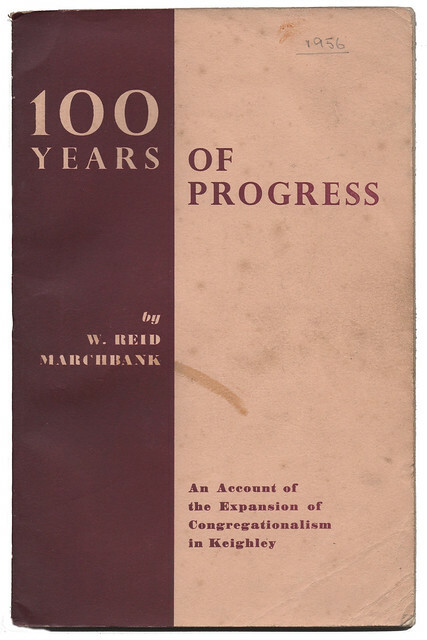 A small album of photographs of Congregational churches in and around Keighley in the 1950s, taken from the 1956 publication “100 Years of Progress” has been added to the History Society’s Flickr account. Not many of them are still around today. 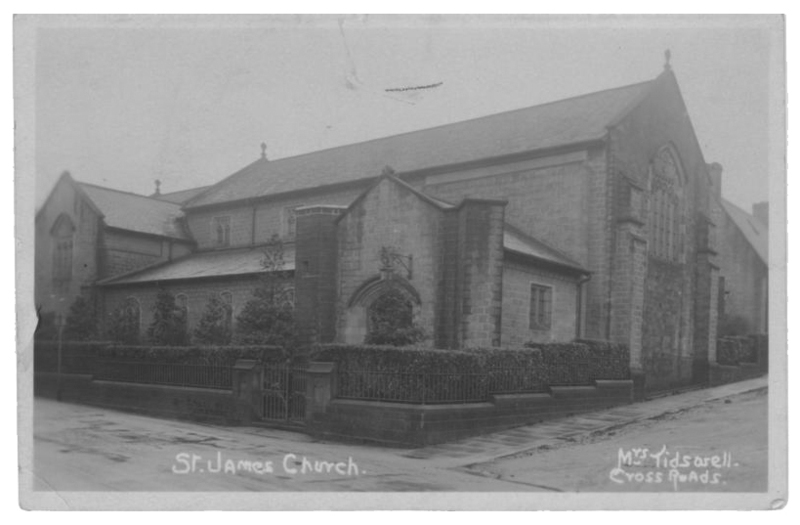 A small set of postcards from the History Society’s archives that show the exterior and interior of the Bronte Parsonage around fifty years ago. 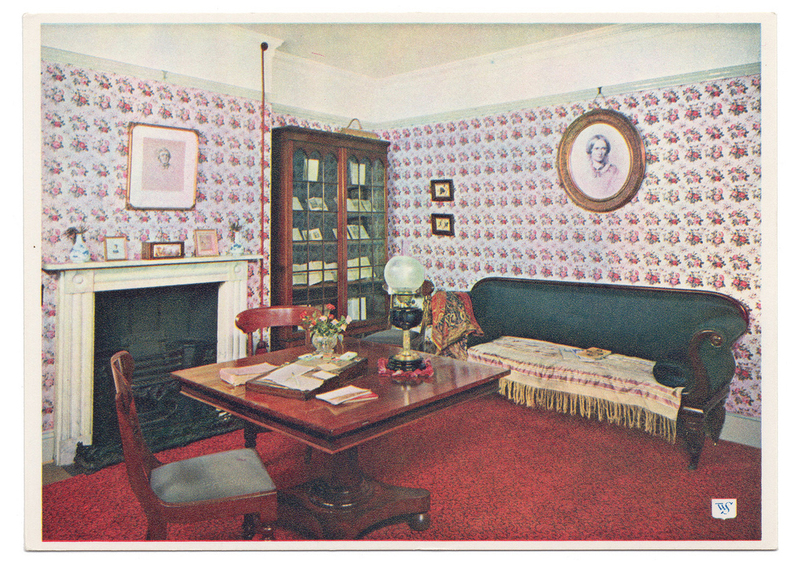 The postcards were published by Walter Scott of Bradford in the 1960s. Walter Scott (1878-1947) was a photographer who began publishing postcards in Bradford in the 1900s. After he died the company continued. 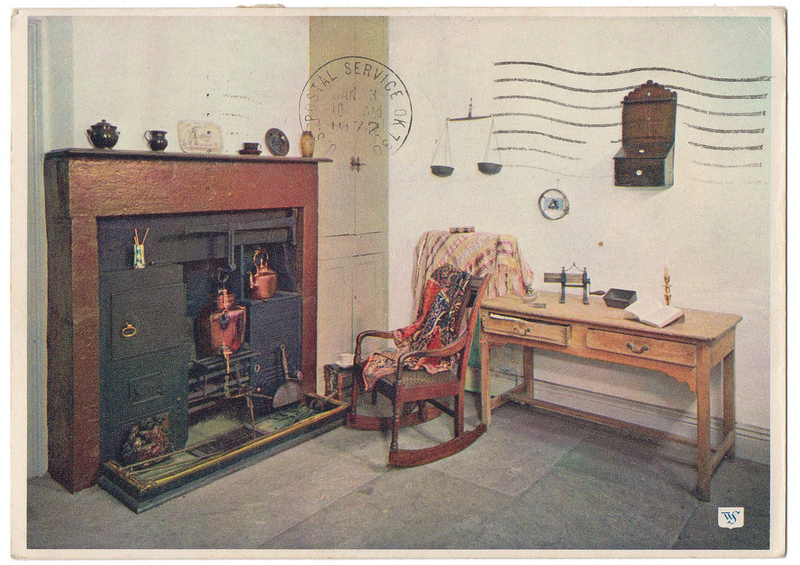 By the 1960s the firm started producing colour postcards in an unusual 5½ ” x 4″ (139mm x 100mm) size. These Colour Series Natural Colour Postcards carried a large Walter Scott signature on the back with a small “WS” crest on the front. 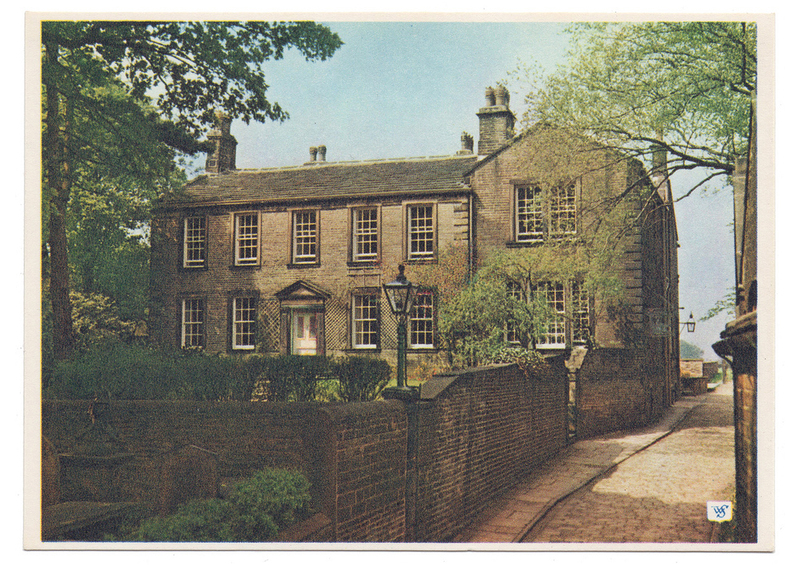 Bronte Parsonage, Walter Scott Postcard, 1960s. From the KDLHS digital archive. 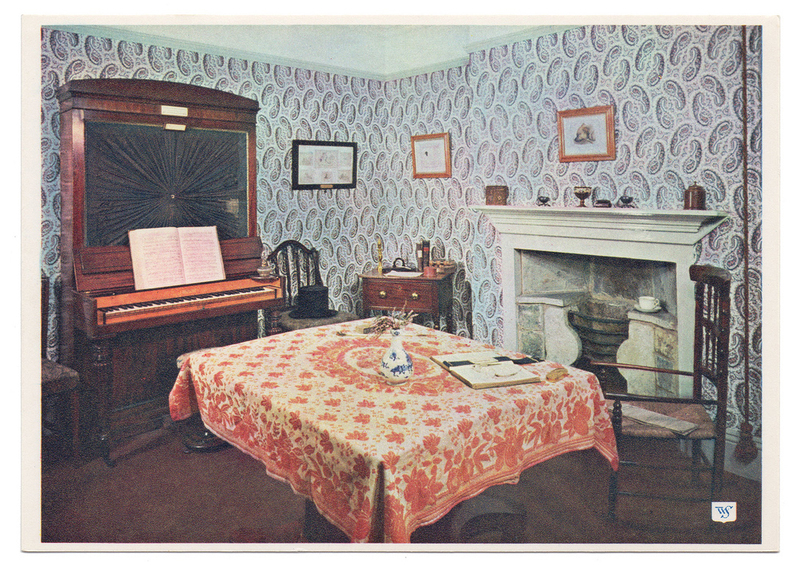 Interior Bronte Parsonage, Walter Scott Postcard, 1960s. From the KDLHS digital archive. 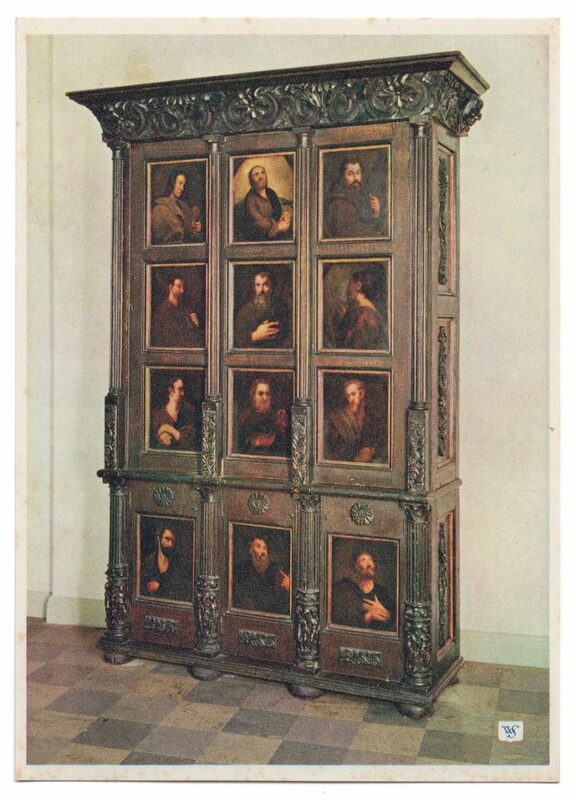 Apostles cabinet, Bronte Parsonage, Walter Scott Postcard, 1960s. From the KDLHS digital archive. 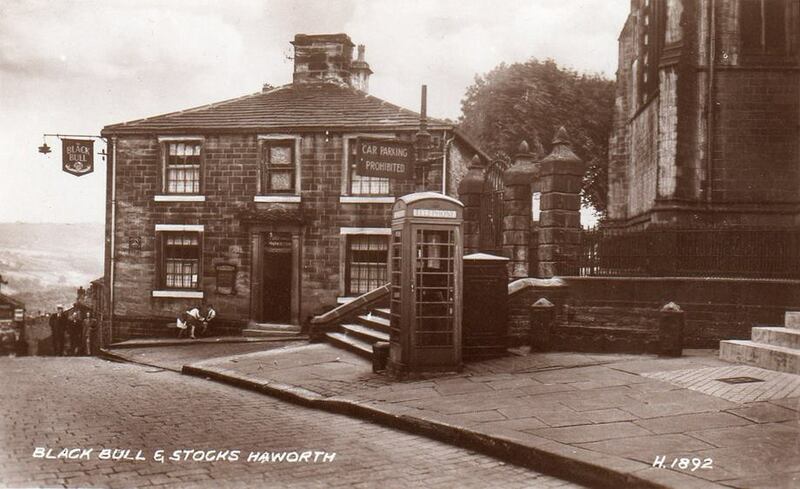 Respected Haworth historian Steven Wood gave a talk to the History Society last evening. He took us on a pictorial journey from the old Police Station on Mill Hey, up Bridgehouse Lane and Main Street, then out along West Lane, with over 50 images. 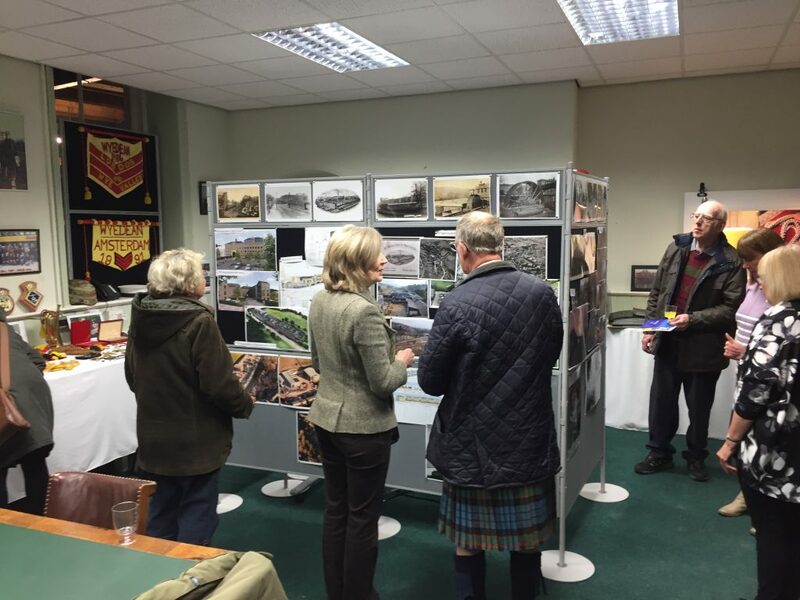 Around 40 members and guests attended. 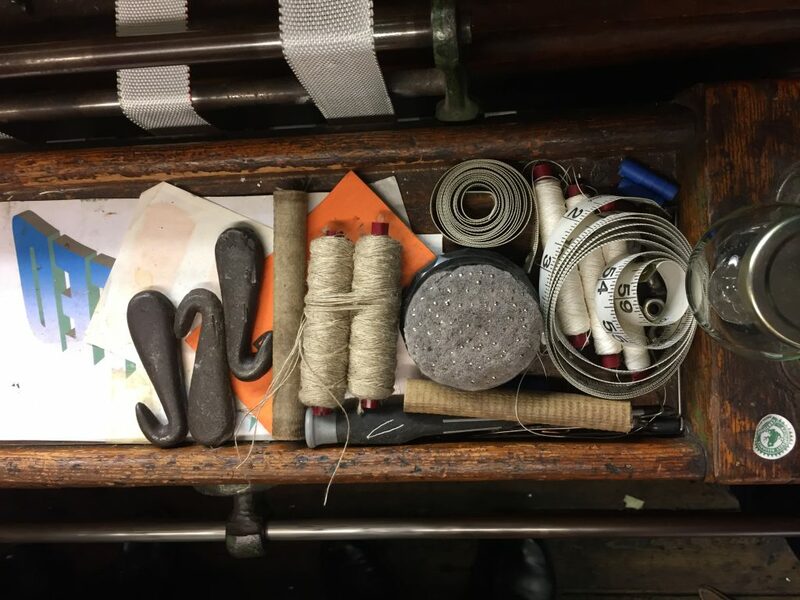 The programme for the next quarter’s series of talks is out now on our newsletter and will shortly appear in the diary on this website. 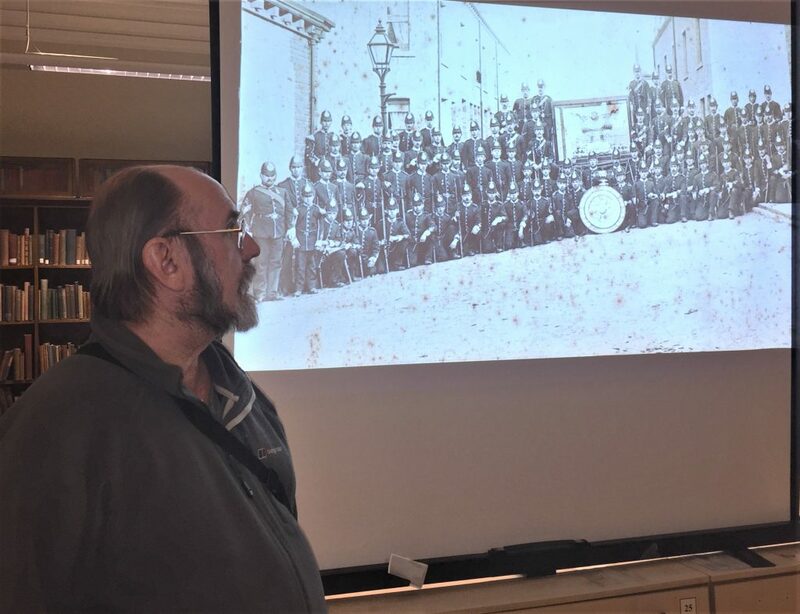 Historian Steven Wood gives his talk ‘Haworth in Old Photographs’ to the History Society on 13 March 2019. Photograph by Tim Neal. 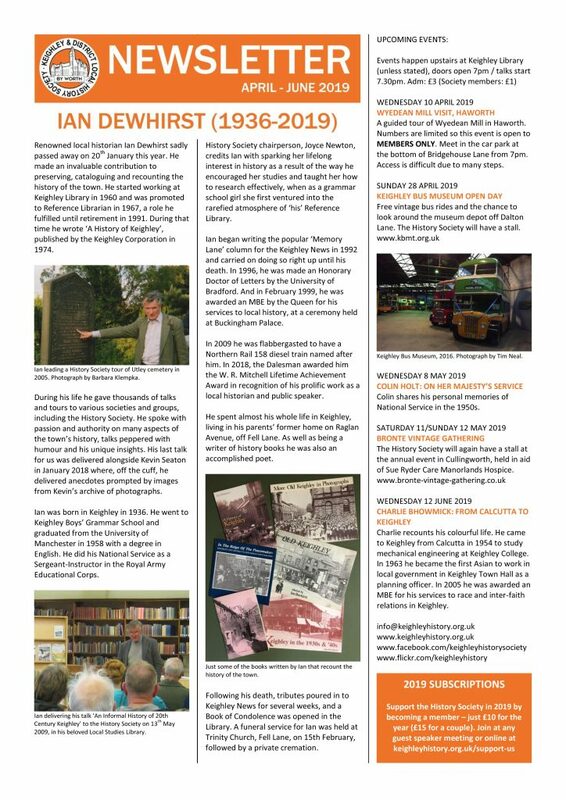 The latest History Society newsletter has just been published. 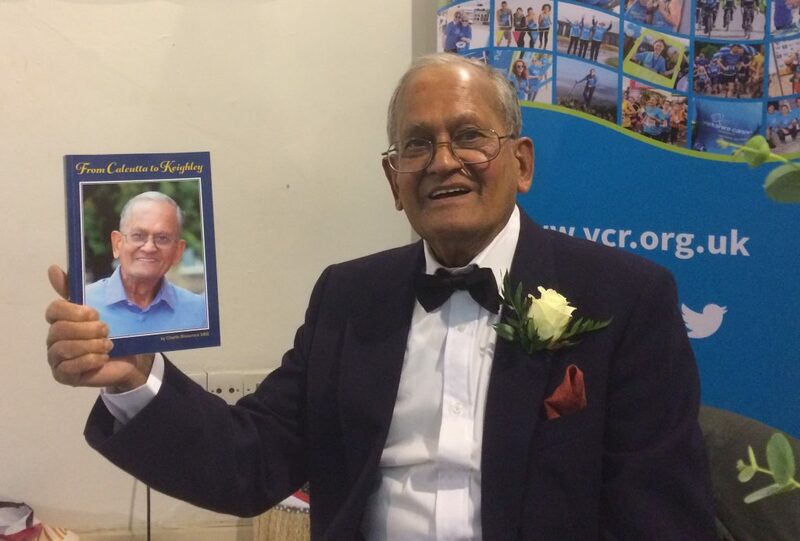 It is available on our Facebook and Flickr sites and can be picked up at any guest-speaker meeting or some copies are available at Keighley Local Studies Library. A reminder that this month’s guest speaker talk is Haworth historian Steven Wood giving the talk “Old Haworth in Photographs (1870-1970)”. The date for the talk is Wednesday 13th March 2019. The History Society’s monthly guest speaker talks take place upstairs in Keighley Library. Doors open at 7pm and the talks start at 7.30pm (and usually last around one hour). Tea and coffee is available. Admission costs £3 (£1 for History Society members). If you are interested in becoming a member and supporting what we do it costs £10 a year and membership can be purchased at any guest speaker meeting. 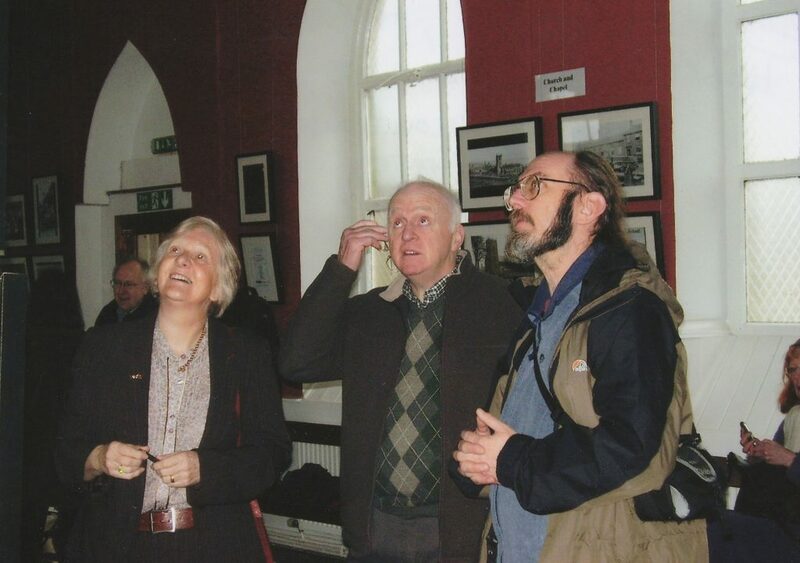 Haworth historian and author Steven Wood (right) visits the Old School House in Haworth in 2007. 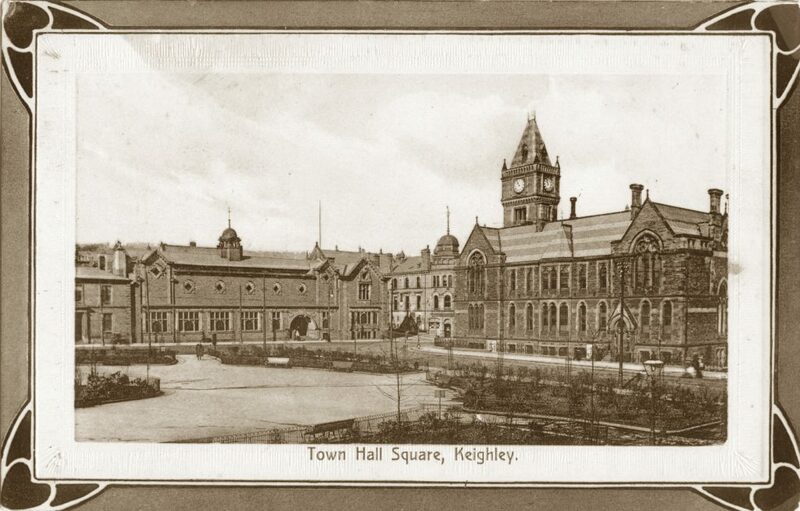 Photograph taken on behalf of the Keighley and District Local History Society by Barbara Klempka. Detail from a J. Valentine & Sons Ltd. postcard from 1939, part of the History Society’s digital archive. 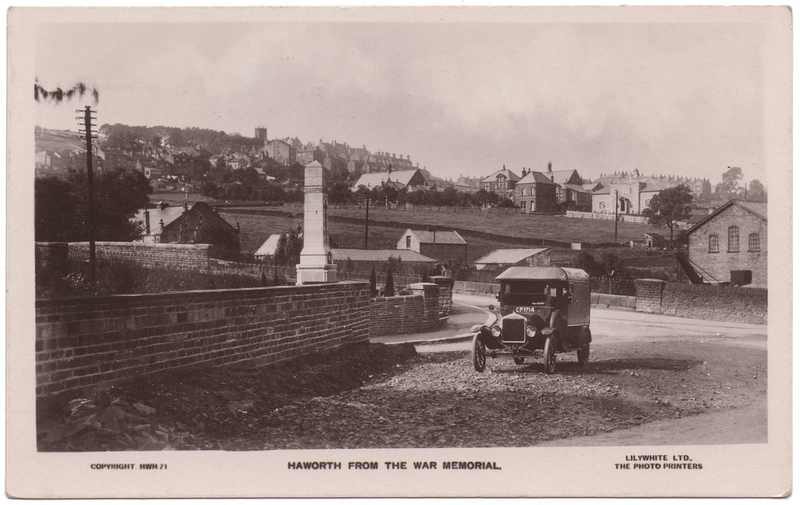 Haworth from the War Memorial. A Lilywhite Ltd. postcard, circa 1925. Part of the History Society digital archive.